Islamic State “caliph” Abu Bakr al-Baghdadi has released a new audio message encouraging his jihadis not to flee the battlefields of Mosul, the terrorist group’s last major stronghold in Iraq. 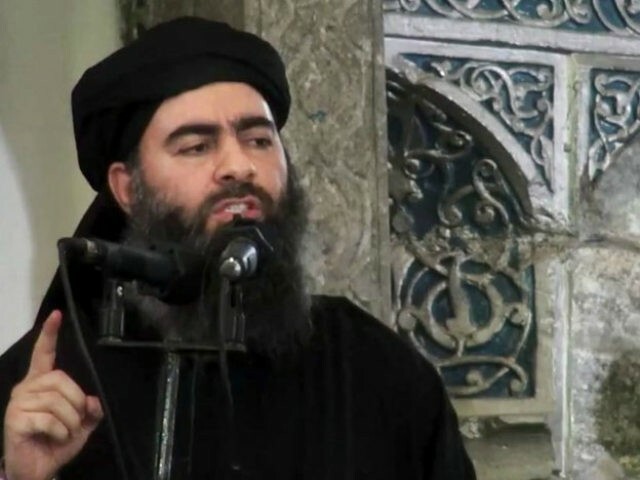 The message follows reports that Baghdadi may be in danger himself as he has chosen to hide in Mosul, not the Islamic State “capital” of Raqqa, Syria. Baghdadi called for more extensive attacks against the “enemies of God,” particularly the government of Turkey. “Turkey today entered your range of action and the aim of your jihad… invade it and turn its safety into fear,” Baghdadi says, referring to the Turkish troop presence in both Iraq and Syria. Turkish officials have been demanding a role in the operation to liberate Mosul but Baghdad has prevented them from participating; the same is unlikely to occur in a similar operation in Raqqa, however. “Turn the nights of the unbelievers into days, to wreck havoc in their land and make their blood flow as rivers,” Baghdadi demands. An estimated 6,000 Islamic State terrorists remain in Mosul and its outskirts. The Iraqi military and allied militias expect many of these to surrender or flee. The most recent reports of Baghdadi’s whereabouts indicate that he is hiding in Mosul. “Baghdadi is there (Mosul) and, if he is killed, it will mean the collapse of the whole (ISIS) system,” Kurdish President Massoud Barzani’s chief of staff Fuad Hussein told the UK Independent this week. A second Kurdish official confirmed to Reuters that the Iraqi Kurdistan Regional Government had “solid” evidence that Baghdadi was still in the city. His proximity to the fighting — and the success of the operation so far — may have triggered the recording of a new message to his followers. While little information regarding Baghdadi’s position trickled into press reports this year, reports placed Baghdadi in Mosul in April 2015, when an airstrike reportedly left him severely wounded. A September 2015 report claimed that Baghdadi had moved south to Ramadi. Ramadi is no longer an Islamic State stronghold, however; the group maintains only Mosul under their control in Iraq. Baghdadi had not yet released a personal message in 2016. Iraqi officials and their U.S. counterparts stated in their latest update on the battle for Mosul Thursday that troops are ahead of schedule with clearing the city. Iraqi troops entered city limits on Monday and appear to have secured the neighborhood of Gogjali, the first before an arduous move deeper into the city. Kurdish Peshmerga troops, the majority-Shiite Popular Mobilization Forces (PMF) militias, and U.S. special forces are involved in the operation. These will remain in the city’s suburbs to capture any fleeing jihadis and prevent them from potentially embedding outside the city and reclaiming liberated territory. A number of Christian militias that operate to Mosul’s north also announced this week that they plan on unifying to protect the Nineveh region, home to one of the world’s oldest Christian populations and an Islamic State target. Kurdish Peshmerga and Kurdistan Workers’ Party (PKK) fighters ultimately eradicated the Islamic State in Sinjar, a major Nineveh population center, though displaced Christians and Yazidis have yet to fully repopulate the area as most of its major infrastructure was destroyed. Mosul is a city of an estimated 1.5 million people. Humanitarian aid groups fear a deluge of refugees fleeing the city once the Iraqi military secures the area.